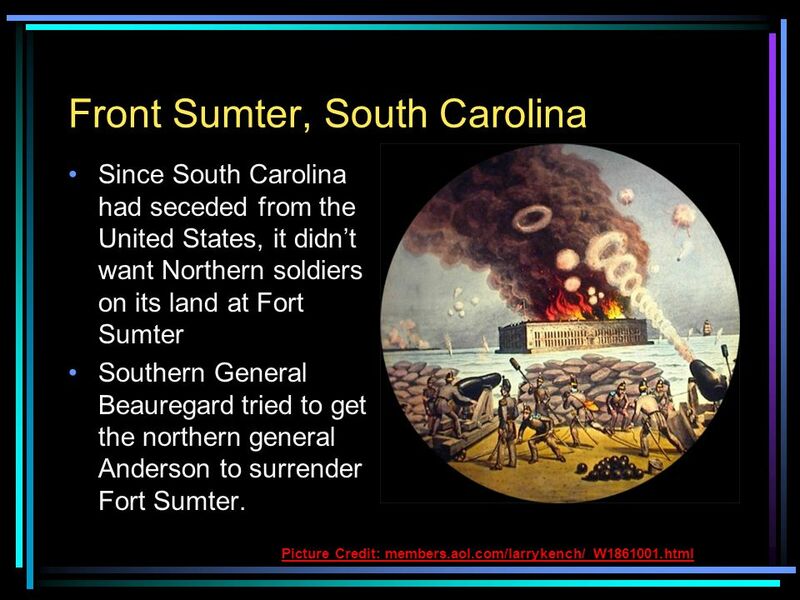 Front Sumter, South Carolina Since South Carolina had seceded from the United States, it didn’t want Northern soldiers on its land at Fort Sumter Southern. 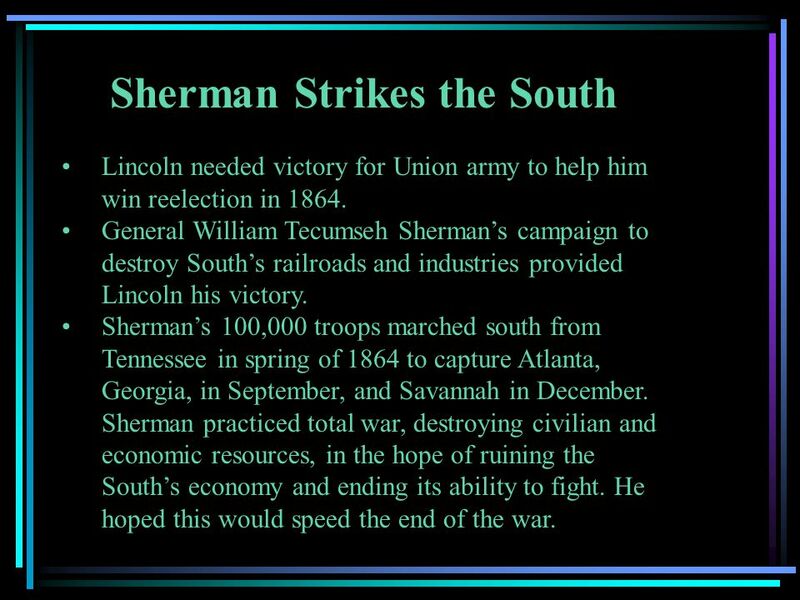 7 Sherman Strikes the South Lincoln needed victory for Union army to help him win reelection in 1864. General William Tecumseh Sherman’s campaign to destroy South’s railroads and industries provided Lincoln his victory. Sherman’s 100,000 troops marched south from Tennessee in spring of 1864 to capture Atlanta, Georgia, in September, and Savannah in December. Sherman practiced total war, destroying civilian and economic resources, in the hope of ruining the South’s economy and ending its ability to fight. He hoped this would speed the end of the war. 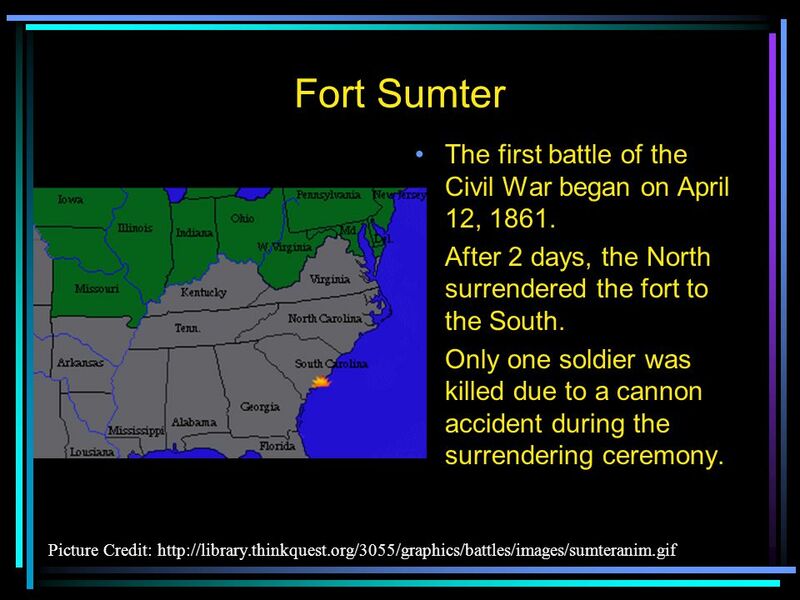 Download ppt "Front Sumter, South Carolina Since South Carolina had seceded from the United States, it didn’t want Northern soldiers on its land at Fort Sumter Southern." 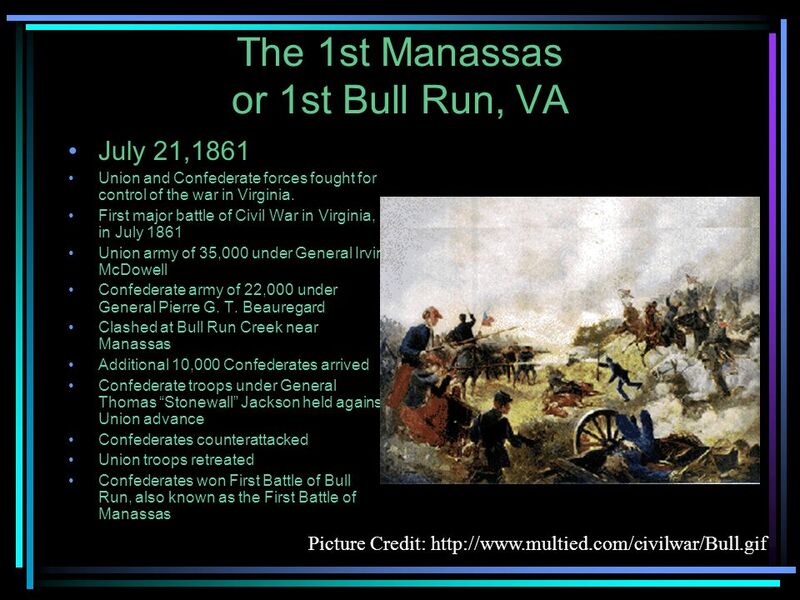 The War in the East The Big Idea Confederate and Union forces faced off in Virginia and at sea. 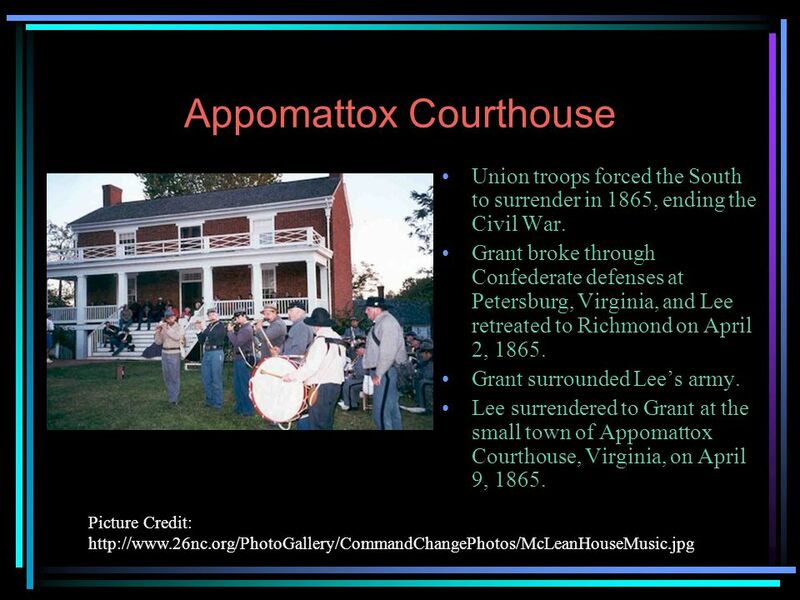 Main Ideas Union and Confederate forces fought for control. What side had a greater population during the Civil War? The first engagement of the Civil War took place at Fort Sumter on April 12 and 13, After 34 hours of fighting, the Union surrendered the fort to. 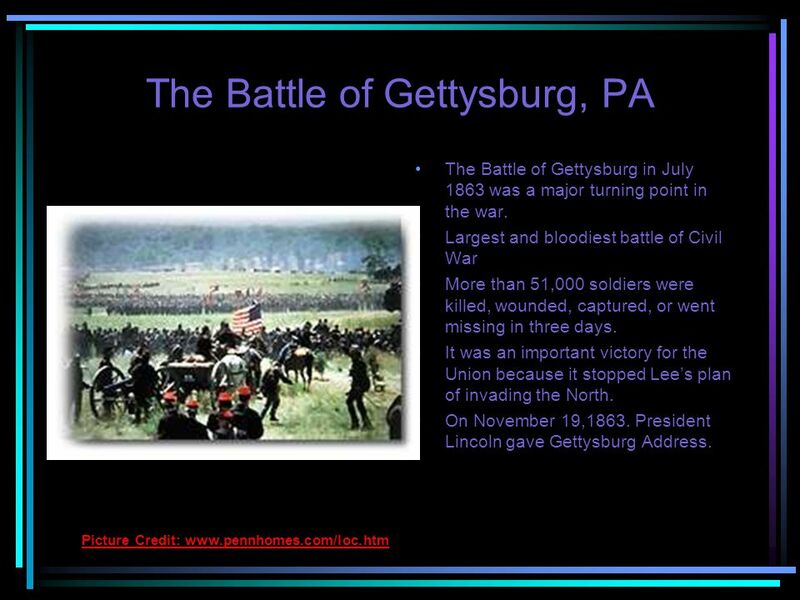 Important Battles and Events of the Civil War Mr. Skipper.   Located in Charleston, South Carolina. Davis did not want the fort to be resupplied and ordered its capture. The Confederacy fired upon the fort for. IMPORTANT BATTLES. The first engagement of the Civil War took place at Fort Sumter on April 12 and 13, After 34 hours of fighting, the Union surrendered. 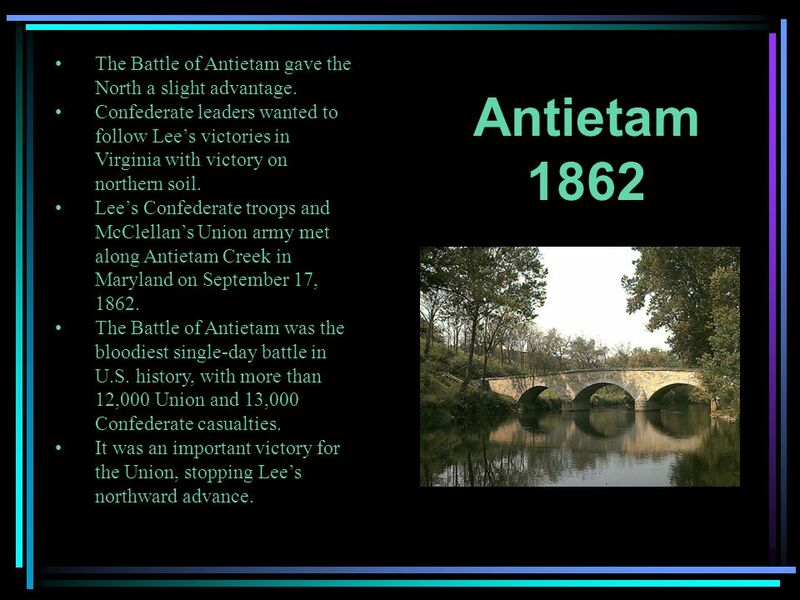 Important Battles of the Civil War The Long Road From Bull Run to Appomattox..
Chapter 16.1 and 16.2 American Civil War.